Pharmaceutical giant GlaxoSmithKline (GSK) have announced that they will build the largest solar rooftop array in North America at its distribution center in York, PA. 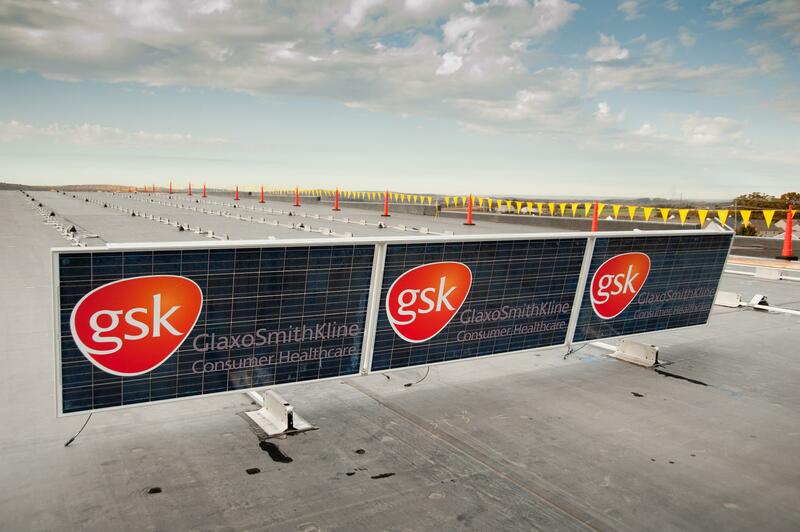 The rooftop array will be the size of seven American football fields (360,000 square feet) and generate enough solar energy to support the entire pharmaceutical facility, making it the first GSK building to be completely powered by renewable energy. If the solar array at GSK’s York center is successful, then it will act as the eco-model for the rest of the company’s distribution centers. GSK has already stated that their facility in Fresno, California will be the next to receive a ‘renewable rennovation’, with plans for construction slated for Spring 2011. The York solar array will boast some interesting stats – not only will it be the largest solar array in North America at 360,000 square feet (approximately the size of seven American football fields, or seven acres), but it will be the first time a GSK facility will function solely on renewable energy, capable of producing 3,400,000 kilowatt hours of energy per year. This means that the 3 MW facility could produce enough energy to power 400 average-sized American homes each year. The array will host 11,000 solar panels with construction seeing 500 panels installed daily. Each panel will weigh about 60 pounds, with each being more than six feet long and more than three feet wide. The project should be completed December 2010. 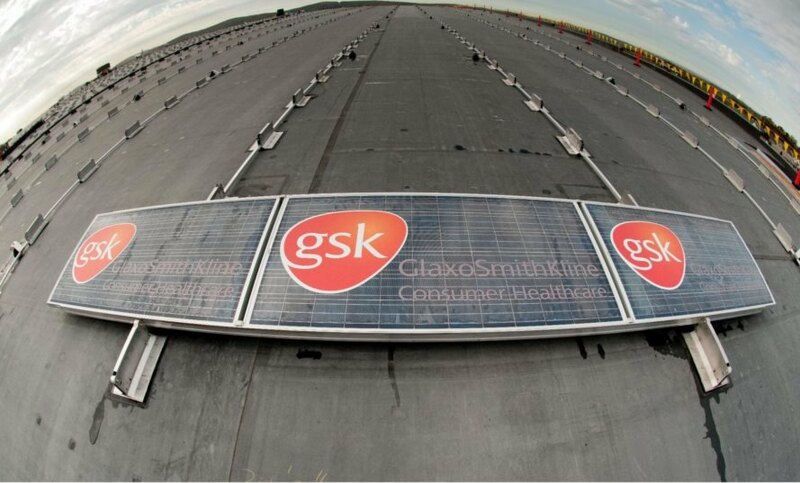 The solar array marks GSK’s recent commitment to reducing their energy consumption by 45 percent by 2015 from their 2006 levels. The facility’s renewable energy project will not only provide for 100 percent of their energy needs, but will more than exceed the goal for this facility. The array will also reduce CO2 emissions by 3,000 tons annually – an amount that would take 15,000 trees an entire year to absorb. With pharmaceutical firms being some of the most successful and lucrative business ventures in the world, it’s encouraging to see an industry and market leader make a firm commitment to embracing renewable energy.